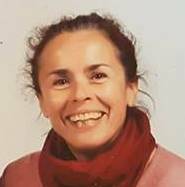 As you probably know, I have been a long time member of Wealthy Affiliate for over a year now, fast approaching my second anniversary. 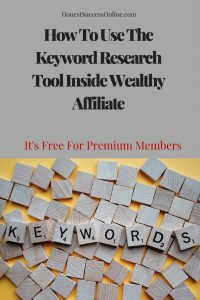 In my tutorial, I am going to show you how to use the keyword research tool inside Wealthy Affiliate (WA) which is free for all Premium members. 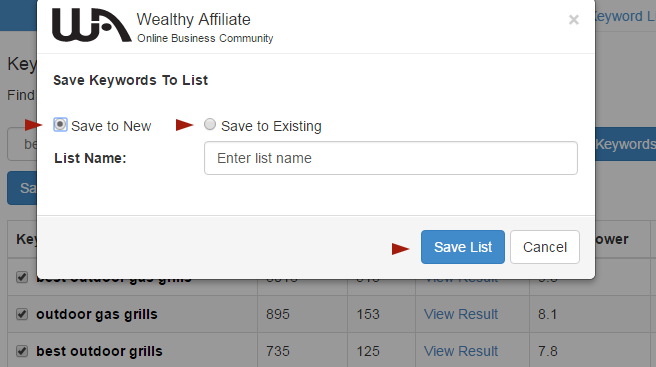 Many members are using it exclusively and get high rankings in Google. I personally have been using it for quite some time, but now and again I pay for the Jaxxy Pro account, and at the moment I am using KeySearch. In the long run, though, I feel I need to focus on one keyword research tool just to keep it streamlined and not getting confused by different metrics and data. The keyword search tool in WA is very similar to Jaxxy without the bells and whistles. It is user-friendly, simple to use and gives you the most important data you will need: Monthly Searches and Competition. A keyword or keyword phrase is what people type into the search bar in Google, Bing or Yahoo, when they are looking for help or answers to questions. Basically what you and me do on a daily basis when we are using Google. In my tutorial, I will show you step by step how I perform my search to find low competition keywords. In my screenshot, I marked the metrics that are most important to me. Firstly monthly searches and competition, secondly article power and lastly the traffic I would get, assuming I rank on page 1 in Google for this keyword. The competition is at 284 competing websites for the seed keyword ‘outdoor bbq.’ That is too many, so I have to keep digging to find one with a lower competition. 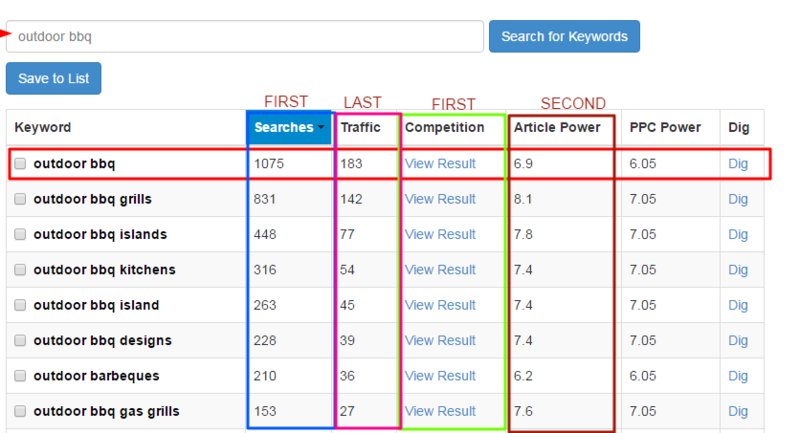 My focus is on monthly searches higher than 50, a competition lower than 100 and an article power over 8. What I do next is adding another word or even a couple of words more and see if I can get the numbers down. So I am searching now for ‘the best outdoor bbq.’ Since I double clicked “Searches” the highest monthly search number comes up first, in order down to the lowest monthly searches. ‘the best outdoor bbq’ is way down on the list with 80 monthly searches, 32 competing websites and an article power of 7.2. What I have found instead is much better. 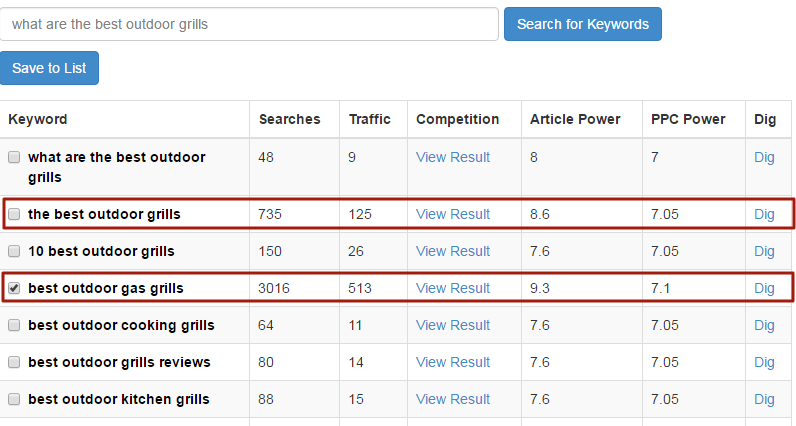 The search term ‘the best outdoor grills’ looks very promising with 735 monthly searches, a competition of 78 and an article power of 8.6. Sometimes it is even better to type the keyword as a question like ‘ what are the best outdoor grills’ but when I check it the result is rather disappointing. As mentioned before, by clicking the Searches twice, it will sort the monthly searches from highest to the lowest number. You can also click on ‘Dig’ to find more related keywords. Once you have saved your keywords, you can then download them onto your computer. First, you select a list, go to export data, and from there you can choose a)keywords only or b) keywords and data. Now your list will be downloaded as a zip file. Pretty straightforward! A few people also like to get some more data, for instance, the SERP results. These are the websites who are ranking on Page 1 of Google and is the competition you want to beat. 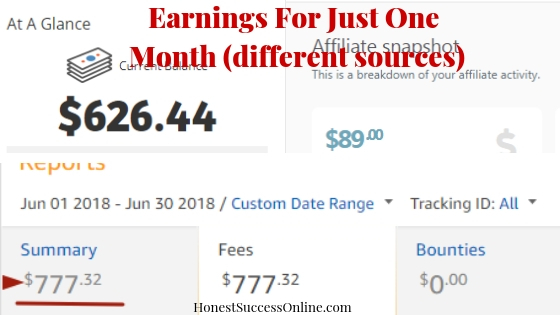 As an example, the competition might be low like 15 other websites with the same keyword you are trying to rank for, but these sites are high authority websites with a high Domain Authority etc. To get additional metrics, you could download free browser extensions and do some more research this way. SEO Quake which is a powerful tool. Just download it like any other browser extension. You can activate it by pressing the icon. It gives you data about Alexa rank, Google and Bing index, Backlinks, Age of the websites and more. It’s free, and you can download the information as well. Similar Web is another free browser extension that provides mind-boggling data. If you want to know more about your competitor’s site details like estimated visitors per month, bounce rate, page views, time on site than this one is for you. My tip: Don’t spend too much time on ‘spying’ on your competitors. I think it is okay for certain keywords or when you do some niche site research (but that is a different subject again). There is so much information available that can be overhelming and may stop you from creating content for your site. Ranking will come in time. By adding content, using low competition keywords, you are adding more value to your site and one day, you will be on page 1. The free keyword research tool inside WA is super easy to use and gives you sufficient data to perform an efficient keyword search. It is one of many amazing tools that WA premium members can use right at their fingertips. If you need more data, you can always refer to the free browser extensions I have discussed before. If you are looking for an awesome paid keyword tool, check out my Jaxxy and KeySearch review. If you have any questions or feedback, I would love to hear from you. Please leave a comment in the box below. Previous Post Jaxxy Vs KeySearch – Which Is The Best Keyword Tool For You?